TEFL is an ancronym which stands for Teaching English as a Foreign Language. There are plenty of another terms in which to describe this qualification, but they all refer to what is quickly becoming one of the most sought after niches within the teaching and education arena. As a qualified TEFL teacher, you are able to teach English to non-native English speakers, utilising a whole host of career and vocational opportunities worldwide. What about the other acronyms? As explained above, TEFL is the term commonly used to refer to any vocation involved in teaching English to non-native English speakers. ELT – English Language Teaching. This is a term you are more likely to encounter by schools within the UK. Though there are minor differences in practice, it is fittingly and comfortably interchangeable with the terms TEFL and TESOL. TESL – Teaching English as a Second Language. 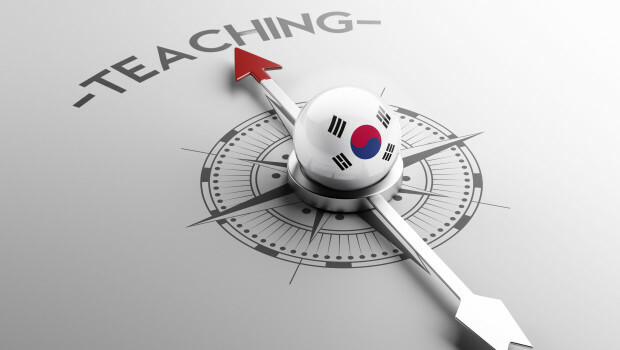 As opposed to TEFL teaching, whereby the teacher is engaging students in a foreign country, TESL is teaching English to non-natives speakers WITHIN a country where the native tongue is English. For example, teaching immigrants in the UK or USA. An all-encompassing acronym used to refer to both TEFL and TESL. Usage of TESOL varies by country, and is more commonly used in North America when referring to teaching English as a second language domestically. This is a TEFL qualification issued specifically by the Cambridge English assessment, which is the University of Cambridge’s own assessment organisation, and it matches the same requirements of the one hundred and twenty hour TEFL qualification. What is required to teach English as a foreign language? Anyone who speaks English fluently can teach English as a second language! Prospective employers will be looking to ensure you have a basic TEFL qualification, which is granted after successfully passing a 120 hour TEFL course (though employers in some countries may be looking for a bachelor’s degree as well). These courses range from online classes to in person classrooms in cities around the world in which many schools, like The TEFL Academy, offering multiple, convenient locations in major city centres. Though you may already know the ins and outs of your own native tongue, a TEFL course is designed to equip you with the skills necessary to manage a classroom of students, draw up lesson plans, motivate individuals, and provide a refresher on the more technical side of language. Where can a TEFL qualification be used? Literally anywhere in the world! While teaching non-native English speakers in your home country is always an option, TEFL teachers most often find jobs in countries where English is not the native language, offering up a whole host of new opportunities and experiences for the TEFL teacher, from world travel to cultural immersion. 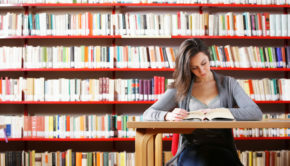 Most commonly such jobs will be found at language institutions and school, although there are also plenty of options for private tutoring, both one on one and in some group sessions. With a TEFL qualification you can choose to take a job with an established employer or simply go into business for yourself, offering private tuition. And with many countries around the world requiring only the TEFL qualification (as opposed to a bachelor’s degree as well) the possibilities are well and truly endless! Do I need to speak a second language to teach abroad? Not at all. You can use your TEFL qualification to teach in any country looking for TEFL qualified teachers, but you will not be expected to speak the native tongue of that country. 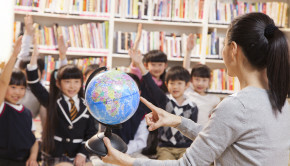 TEFL teaching is all about language immersion and as such, even on day one of your teaching career, you will be speaking to your students in English exclusively. This will be the case no matter whether you choose to teach small grade school children or adults within a corporate environment. Yet many TEFL graduates who go on to teach abroad find they themselves end up immersed in the language of their host country, and will naturally pick up anything from a few useful phrases to full fluency during their time spent teaching abroad. And even if English isn’t your first language, you can still qualify to become a TEFL teacher providing you have the knowledge and fluency necessary to qualify as a TEFL teacher. It may even be the case that your own experiences as a non-native English speaker aid you in teaching English as a second language to others. How do I know which school to pick for my TEFL qualification? If you were to Google TEFL courses, you’d find a wide array of literally tens of thousands of companies offering TEFL qualifications. Yet the unfortunate side to that is not every one is an accredited course provider. The last thing you want to do is pay fees to an unrecognised institution and come out on the other side of a one hundred and twenty hour course with a certificate that’s worthless. 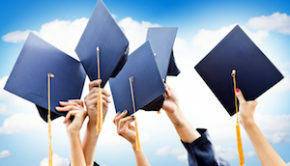 There are a few things you will want to keep in mind when choosing the course provider that is right for you: the provider should be able to show you their accreditations and the school or provider should be recognised by TEFL employers, with job opportunities and prospects in a wide variety of countries worldwide.